Time is an essential element of each glass of wine that we drink. Within moments of it being poured from a bottle, or when a barrel is exposed to air, wine begins to change in subtle and irreversible ways. At the other end of the temporal scale, the bedrock of the vineyard landscapes that grow the grapes to make this wine were formed over millennia past. 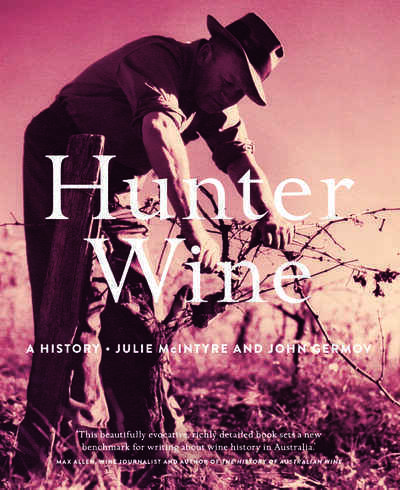 From the deep past to the current moment, this book shows how historical influences and technological processes have shaped Hunter wine from vine to glass. The Hunter Valley is Australia’s oldest wine region, so its history and heritage are integral to understanding how Australian wine has evolved. Australian cultures of making, selling and drinking wine are more than echoes of British and European traditions and trends — they represent new practices and styles. Hunter wine is the result of horticultural, chemical, technological, social and economic experimentation by men and women who have migrated to the region since the 1820s. In turn, the Hunter landscape and people have been shaped by the presence of vineyards and wineries since early colonisation.